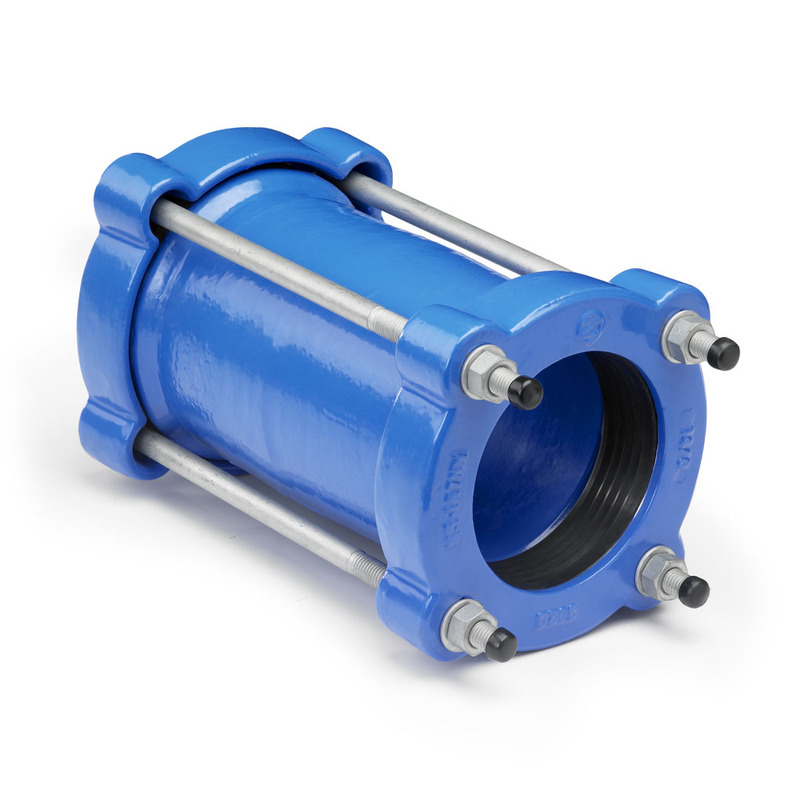 Within every nominal size nearly all outside pipe diameters can be joined. Hegawa Plus Range products have an outside diameter range of up to 34 mm. 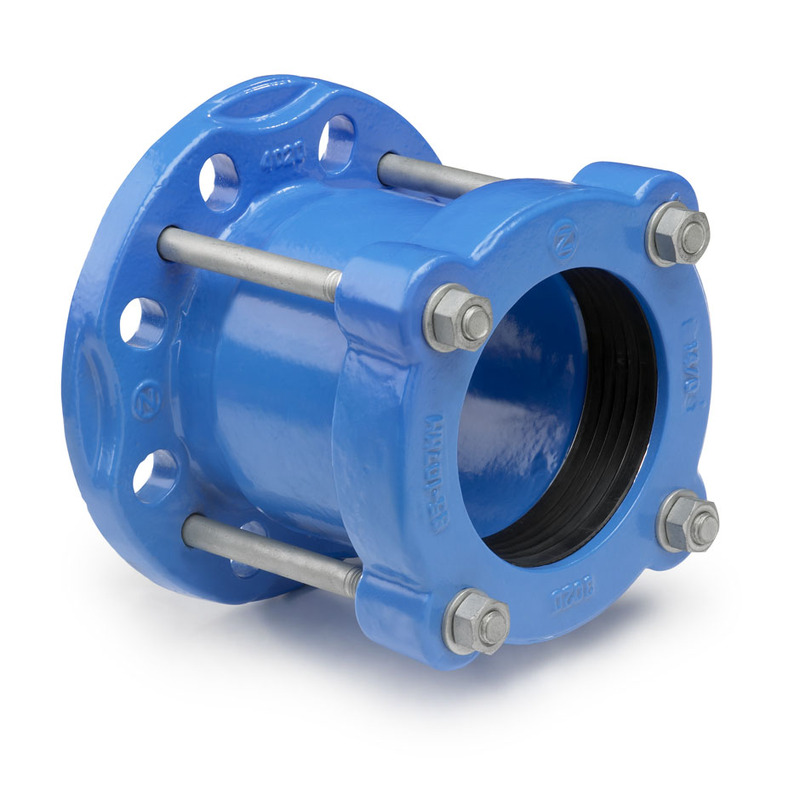 This means within every nominal size nearly all outside pipe diameters can be joined, whether in steel, ductile iron, cast iron, asbestos cement, PVC or almost any other rigid pipe material. Working pressures up to 16 bars. Angular deflection 6° for couplings. DIN, BS and ANSI in one flange design. Material: High quality ductile iron GGG 450-10. Coating: High Quality epoxy, providing a long term corrosion protection along with resistance to abrasion and impact. Other coatings are available on request. Bolts and nuts: High grade Steel 8.8 fasteners, coated with Dacromet™ Grade B 500. Dacromet™ coating is based on zinc and aluminium flakes that are passivated throughout the entire layer providing excellent anticorrosion characteristics. Stainless steel bolts and nuts are available on request. Rubber gaskets: EPDM Grade E / WA as per BS EN 681-1:1996. NBR Rubber is available on request.